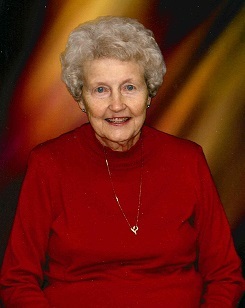 Ethel Morene Bibbs, 90 of Newbern, Tennessee passed away on Wednesday, January 23, 2019, at her home in Newbern, Tennessee, after a long illness. Born on August 28, 1928 in Kenton, Tennessee, she was the daughter of the late John Wesley Tucker and the late Annie Ethel Beard Tucker. Mrs. Bibbs was a retired employee of Midwest Ice Cream, children's day care provider, home-maker and member of the Glendale Church of Christ. Funeral services for Mrs. Bibbs will be held at 2:00 PM on Thursday, January 24, 2019 in the Chapel of Johnson-Williams Funeral Home. Officiating this service will be Bro. Serge Shoemaker. Interment will follow in Dyer County Memorial Gardens with Bro. Rick Willis officiating. Visitation will be from 11:00 AM until 2:00 PM at Johnson-Williams Funeral Home. She is survived by two sons, Troy Thomas "Tommy" Bibbs of Newbern, Tennessee and Terry Steven Bibbs (Linda)of Ripley, Tennessee; one grandson, Nicholas Dakota Bibbs of Mississippi; her loving caregiver, Elaine Bartlett of Newbern, Tennessee and a host of nieces and nephews. In addition to her parents she was preceded in death by her husband, Troy K. Bibbs; one sister, Margie Frances Howell and one brother, Raymond Gray Tucker. Pallbearers will be Jeremy Peevyhouse, Joe Peevyhouse, Adam Featherston, Steve Dodds, Johnny Davis and Sandy Hill. Online condolences may be made to the family at johnsonwilliamsfuneralhome.com. Johnson-Williams Funeral Home is honored to serve the family of Ethel Morene Tucker Bibbs.